Order tasty take-away or delivery with our online ordering service! It’s quick, easy and convenient so you can get your noodle fix fast. Plus, all new online customers that sign up will automatically receive 20% off their first order! 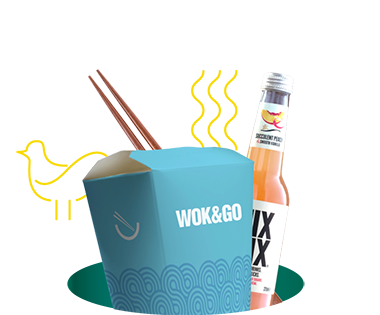 Enjoy your Wok&Go at home, at the office or on the go - simply sign up, find your nearest store and start ordering! If you WANT to receive great Wok & Go MONEY OFF deals via SMS or e-mail then please tick this box.